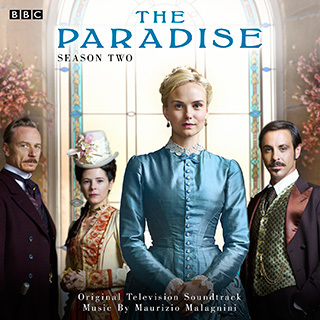 The music to the second series of the highly acclaimed BBC Show. Set in the first department store in the 19th century North East of England The Paradise follows the stories of the life and loves of the staff and their customers. Italian born Maurizio Malagnini graduated from The Royal College Of Music in 2008 and was acclaimed as a “prodigious talent”. Previous work includes BBC productions Muddle Earth and The Body Farm and his symphonic suite Running In The Clouds was broadcast on BBC Radio 3.